Anyone with information regarding dog fighting operations should contact the Nassau SPCA. Nassau County, NY - May 14, 2015 - "In light of today's arrests, I am very thankful that the Nassau SPCA is renewing its commitment to offer $5,000 rewards to individuals who give information that lead to the arrest and conviction of anyone responsible for dog fighting," said Nassau County Executive Mangano. "Dog fighting is a heinous and barbaric crime and it is important that we bring offenders to justice and stop the pain inflicted on the animals involved. I urge anyone with information regarding dog fighting operations to contact the Nassau SPCA at (516) THE-SPCA." 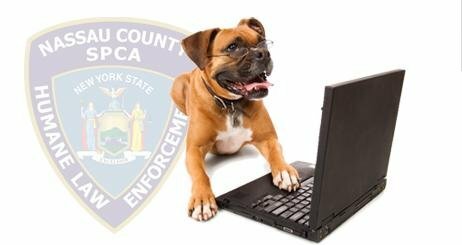 Subject: LongIsland.com - Your Name sent you Article details of "Nassau County SPCA Offering $5K Reward for Dog Fighting Information"